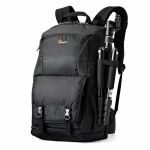 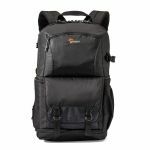 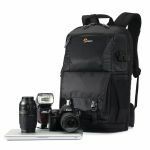 Travel-ready backpack designed to fit a DSLR, 2-3 extra lenses, a 15 inch laptop, tablet and space for your personal gear. 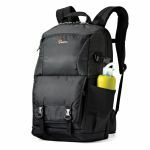 The Fastpack series has been trusted to travel for years. 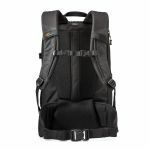 The next-generation pack design includes enhanced protection with a built-in All Weather AW Cover™ and CradleFit™ device compartment, plus three, primary storage zones to help keep you organized and ready for the fast pace of modern travel. 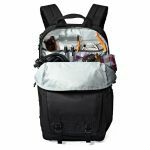 Large smartphone, headphones, hard drive, keys, etc. 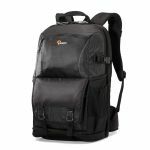 Fast side access means your camera is never more than a few seconds away from getting the shot. 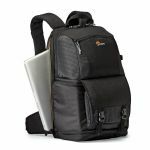 Stay connected while traveling with dedicated space to protect your laptop and tablet. 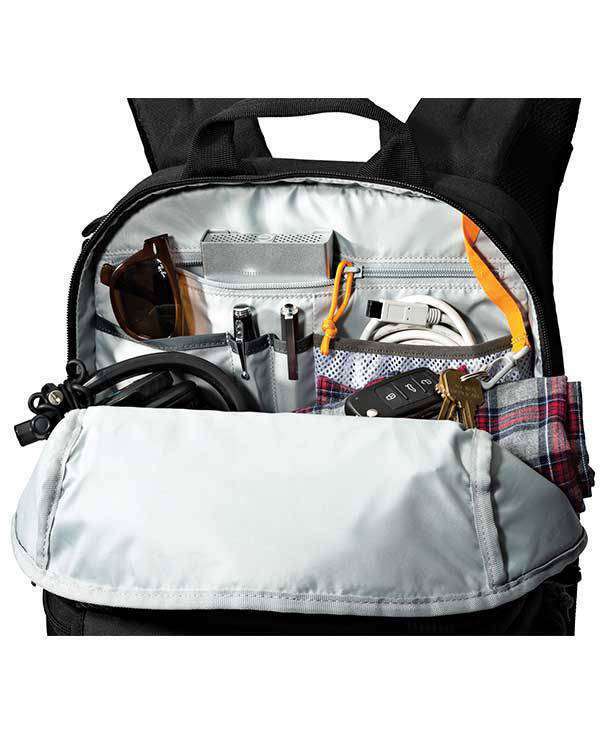 The open zone provides space for your travel essentials and the things that make your journey fun. 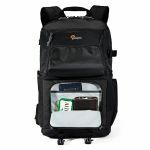 The open zone is the perfect place to stash quick-grab items such as headphones, portable hard drive, smartphones, etc. 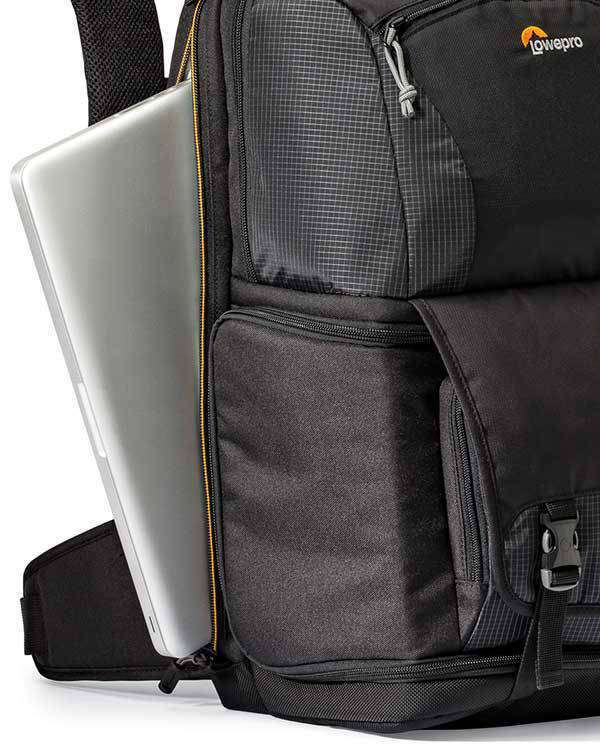 The device zone provides dedicated storage for a laptop in a padded compartment, plus a tablet in a suspended, CradleFit pocket. 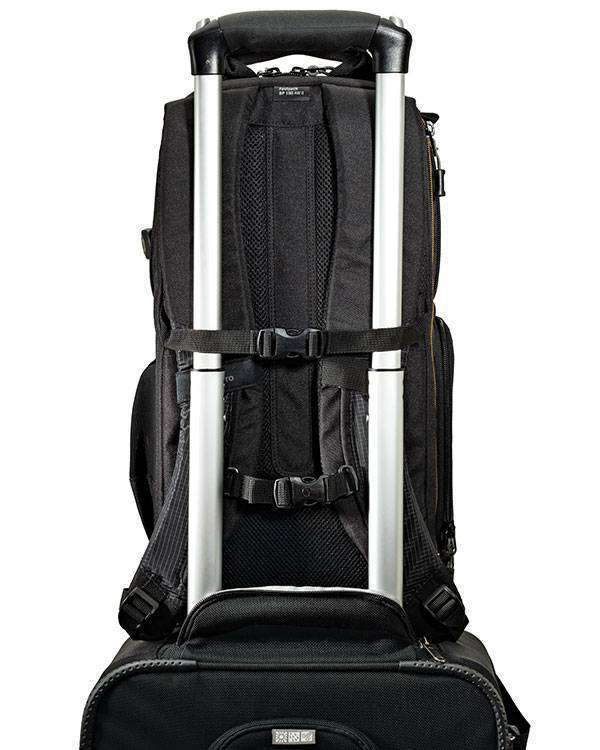 The Fastpack is filled with travel-friendly features like the hide-away straps on back panel to secure the pack to a rolling bag trolley. 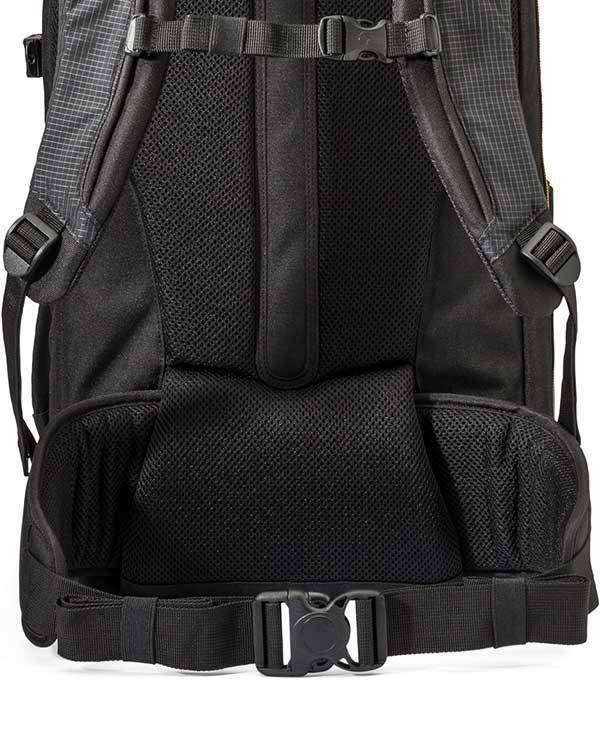 Tall stretch-mesh side pocket with reinforced base provides a place for a water bottle or tripod foot. 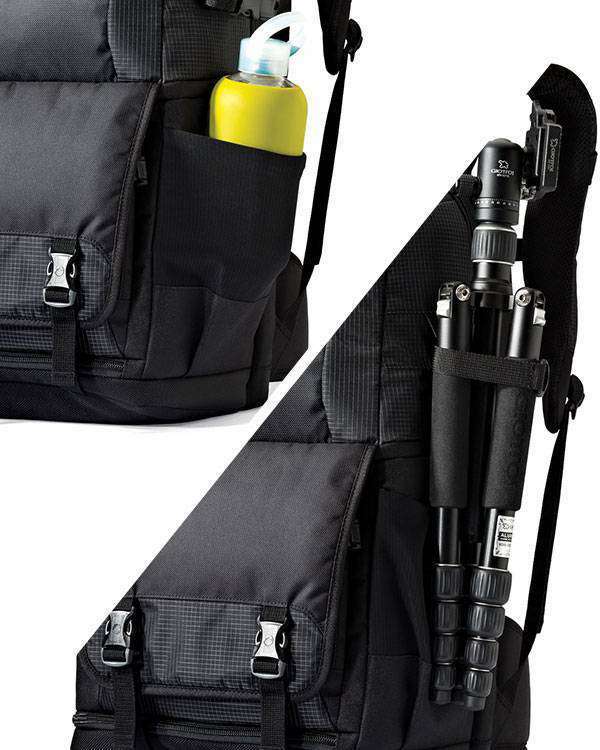 Carry up to a medium sized tripod with the attached side-mounted tripod strap. 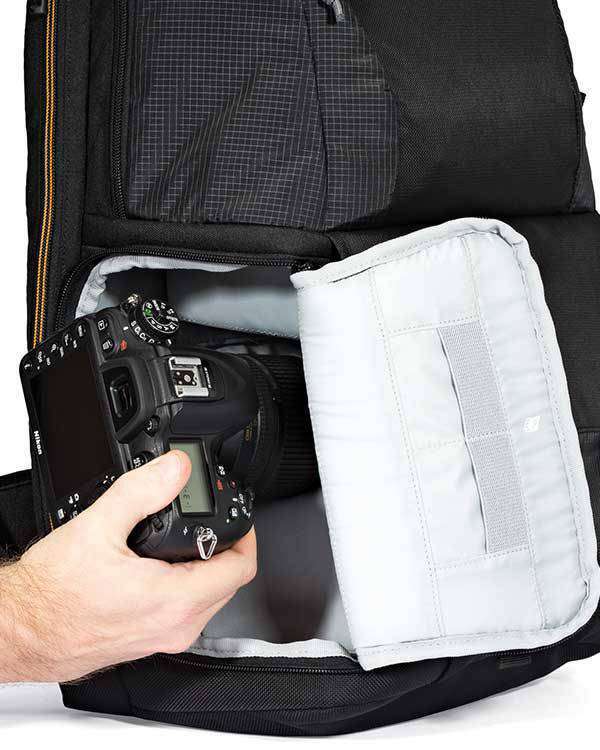 Get a stable and secure fit with the padded waistbelt and remove it when you want to downsize for packing or airline travel. 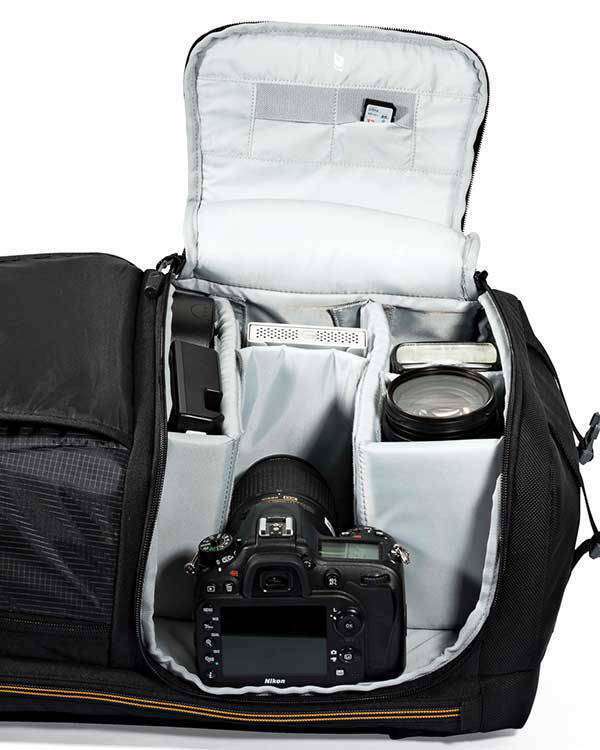 The camera zone features a customizable interior and two access modes: a quick side-entry and full access to the main camera compartment for set-up or to work out of the bag. 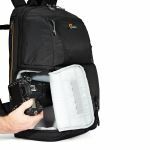 The redesigned security flap both protects the outer pocket and provides an extra safeguard to the full-access opening to the camera zone. 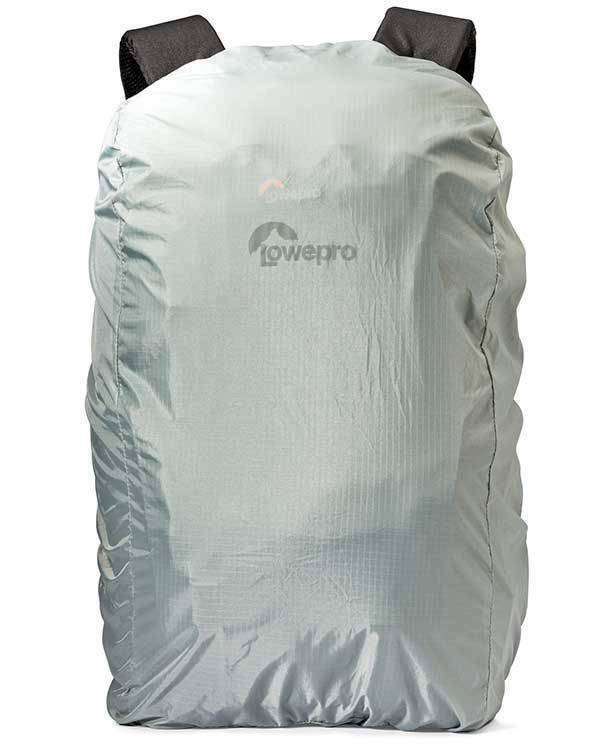 Keep your valuable gear protected from the elements with built-in All Weather AW Cover.